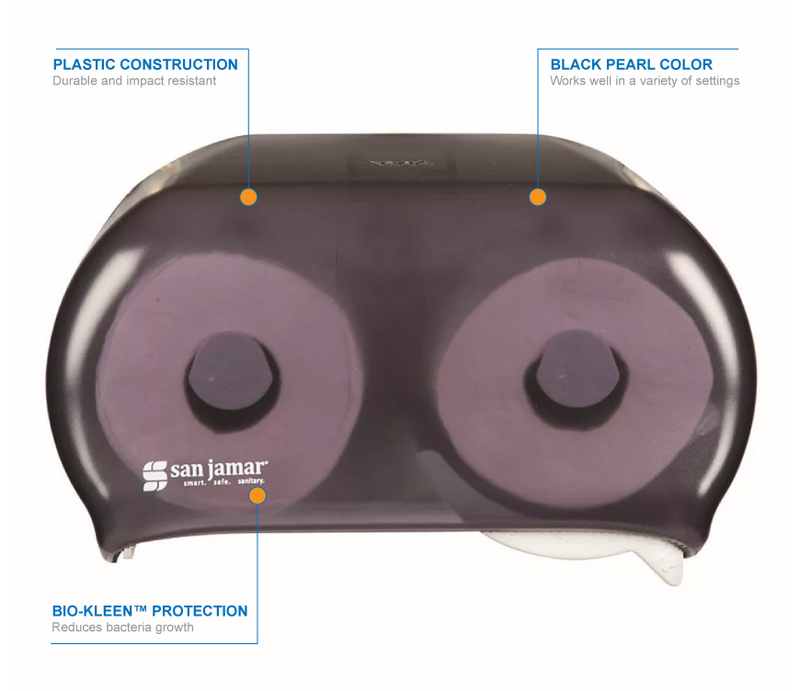 The San Jamar R3600TBK Versatwin® bath tissue dispenser is made of break-resistant plastic, and its transparent black design enables staff to see when rolls need to be refilled. 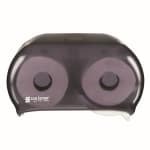 The Infinity System® eliminates stub roll waste while providing a continuous supply. Two 41⁄2-inch to 51⁄2-inch rolls with a 11⁄2-inch minimum diameter fit in this unit. Holds rolls with a minimum 11⁄2-in. dia.